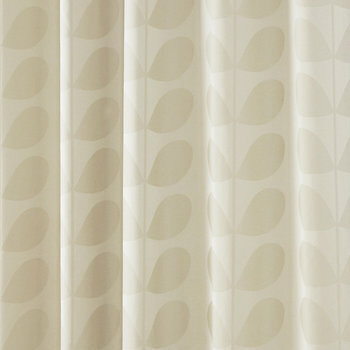 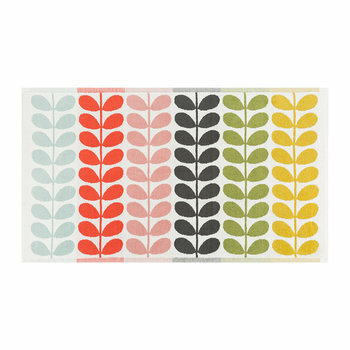 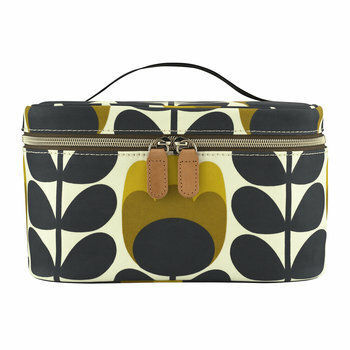 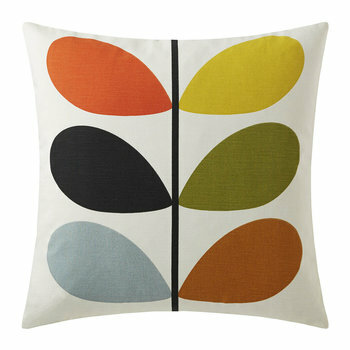 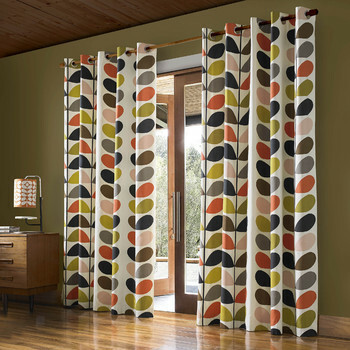 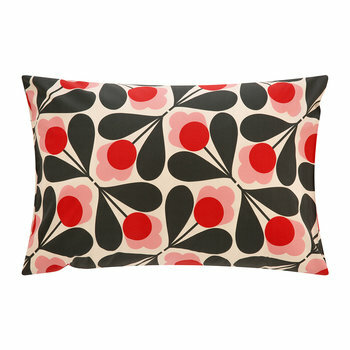 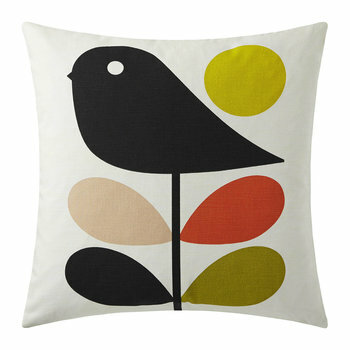 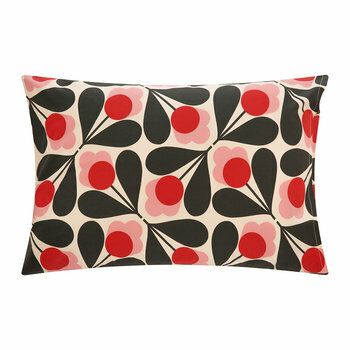 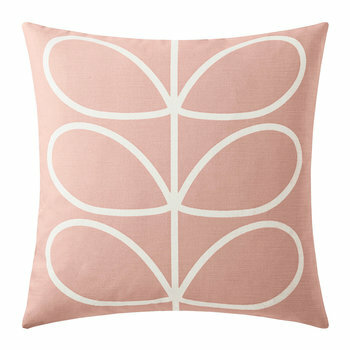 Irish born Orla Kiely is renowned for her retro inspired prints which have delighted the world. 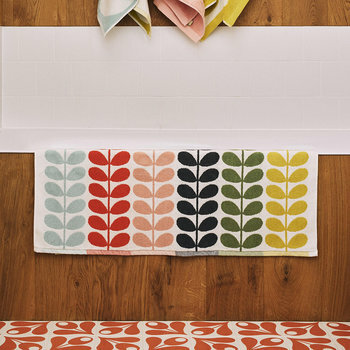 Crediting her Grandma as her greatest creative influence, Orla Kiely first pursued her artistic talent at the National College of Art & Design in Dublin, where she achieved a degree in textile design. 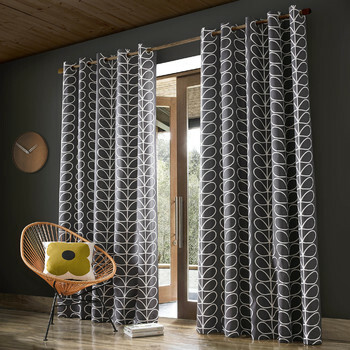 On gaining this qualification she moved to New York to work for a wallpaper & fabric designer, which deepened her love of colour and print, inspiring her to further her creative education. 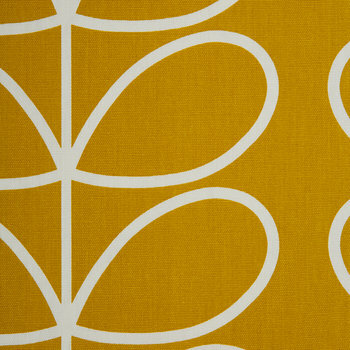 Returning to the UK in the early 1990s to study for an MA in knitwear at the Royal College of Art, Orla Kiely developed her knowledge of fabric design and discovered her flair for hat making. 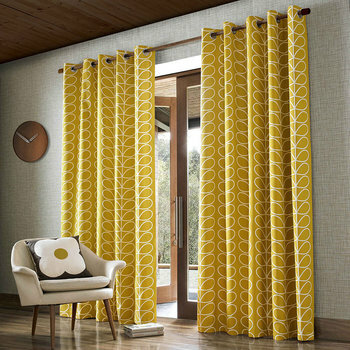 Her exit collection of hats launched her career in the fashion world with a bang as her designs were picked up by Harrods, greatly increasing the visibility of the now iconic patterns and landing her with jobs working for both Marks & Spencer and Habitat. 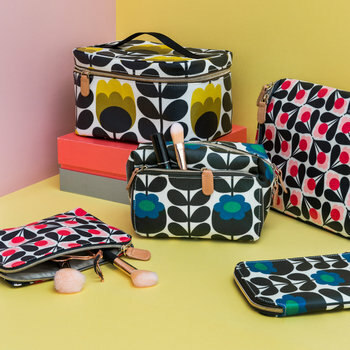 Her designs moved from hats to handbags when her father pointed out at her first stall at London Fashion Week that everyone there was carrying a bag, but no one was wearing a hat. 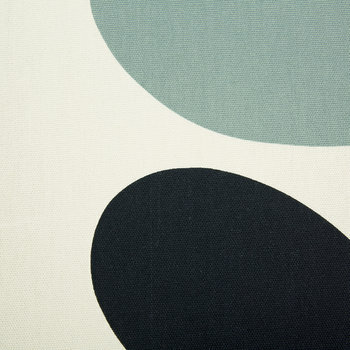 This led to the production of bags featuring her signature patterns on laminated fabric, a design innovation of the time when this kind of material was used only for tablecloths. 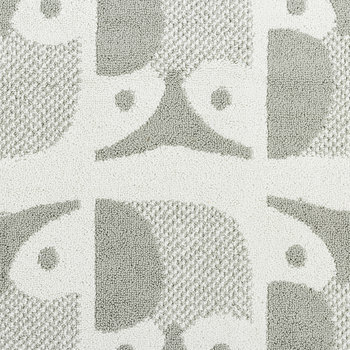 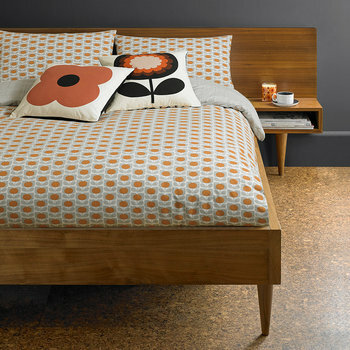 The Orla Kiely Partnership was established in 1997 by her and her husband Dermot Rowan, under which they released the brand’s first exclusive collection. 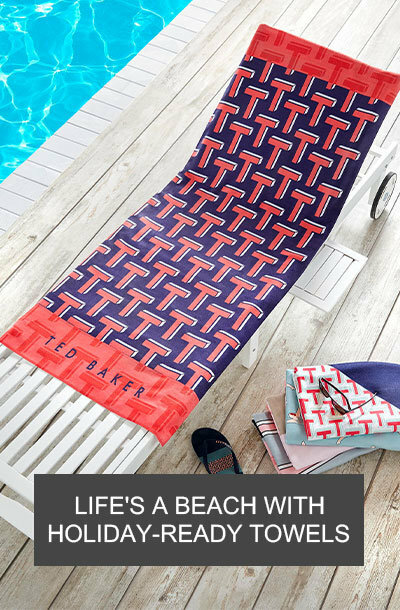 Since the brand’s inception they have expanded into new markets and now release ready to wear clothing, home, travel & stationery collections each year to both the fashion world & the public’s eager anticipation. 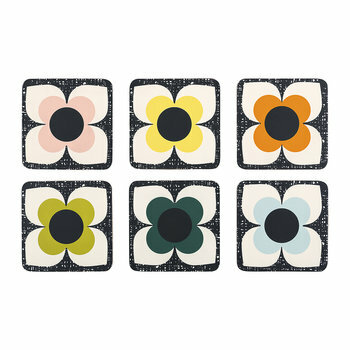 Each Orla Kiely homeware collection is an exploration of the brand’s signature prints and retro 60s & 70s inspired design. 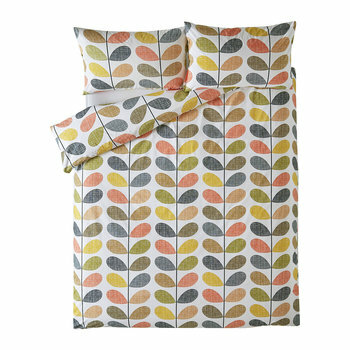 With the brand’s key concept of nature inspired base colours such as muddy browns, leafy greens and overcast greys combined with bursts of bright orange, rich yellow and pale blue, each item is a testament to timeless style. 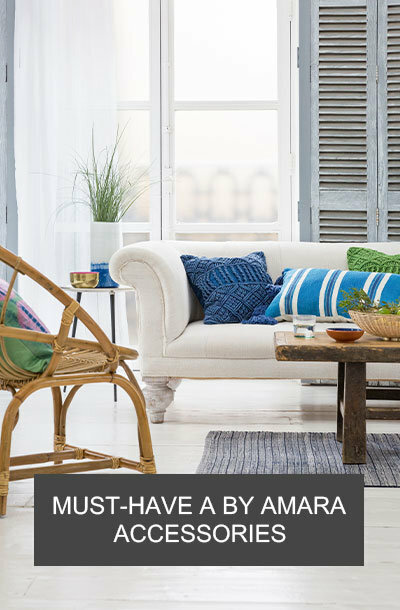 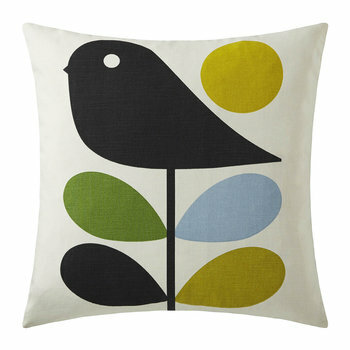 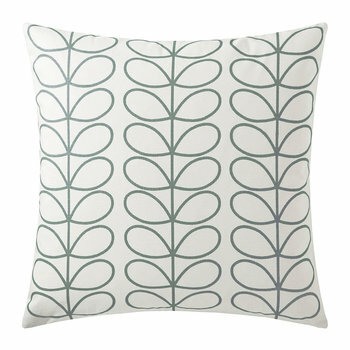 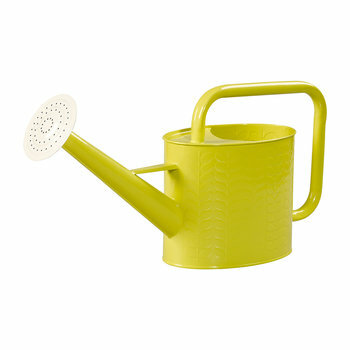 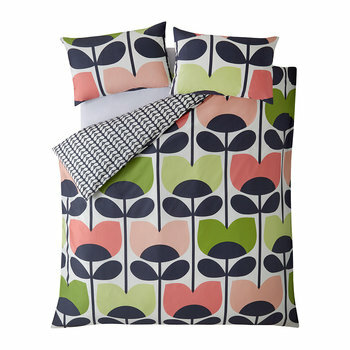 At Amara you will find a host of sought-after Orla Kiely soft furnishings, kitchenware, stationery and gardening equipment that will brighten any room and delight anyone with a penchant for colour. 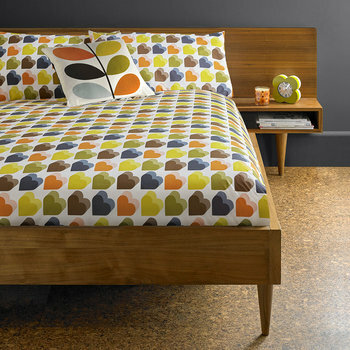 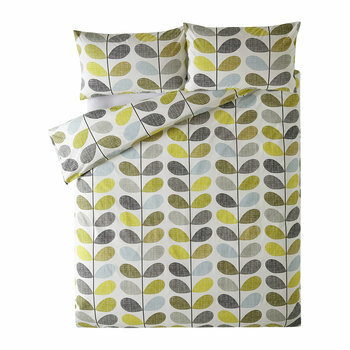 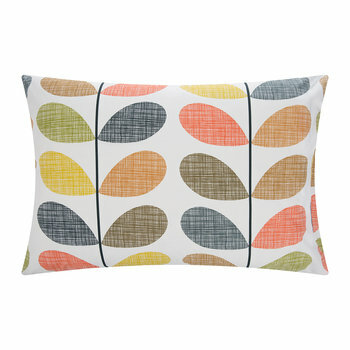 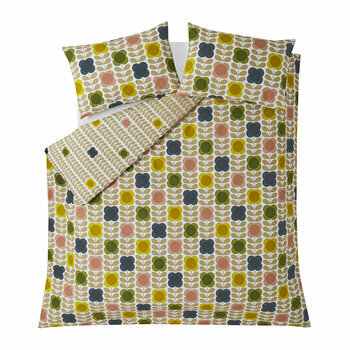 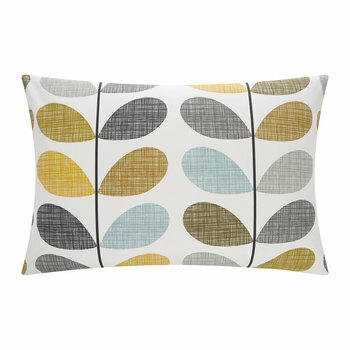 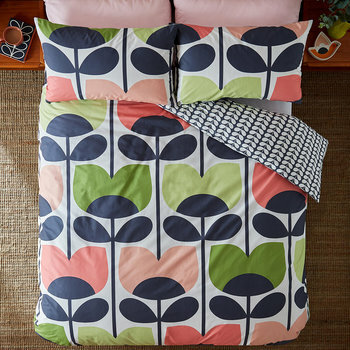 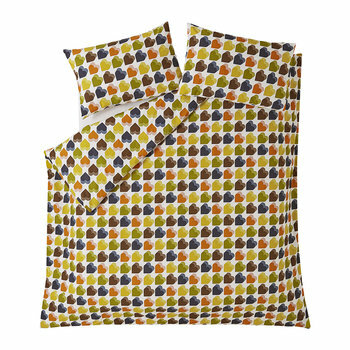 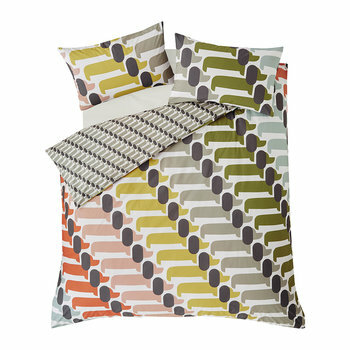 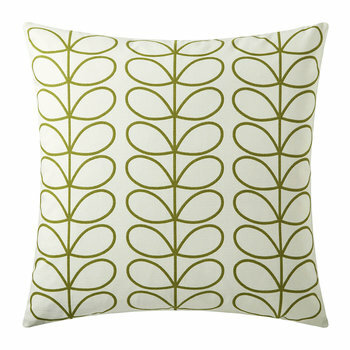 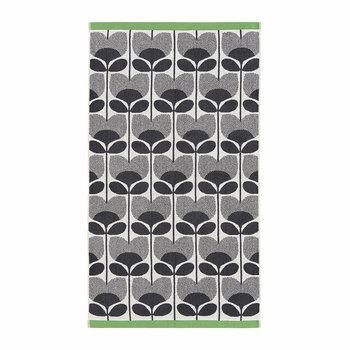 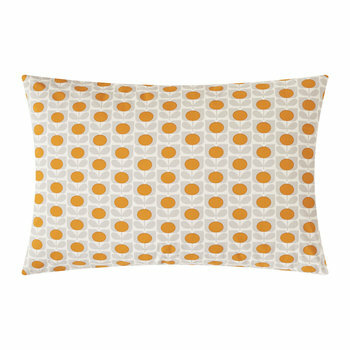 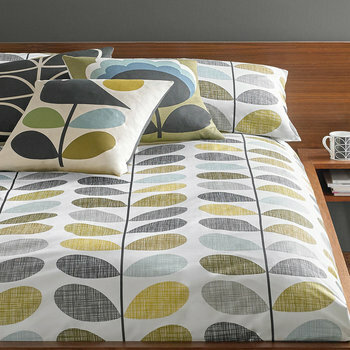 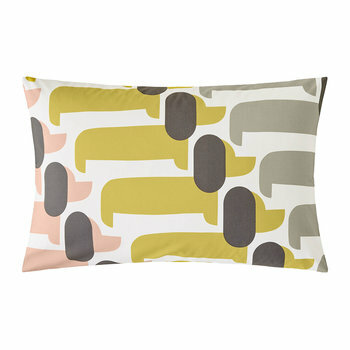 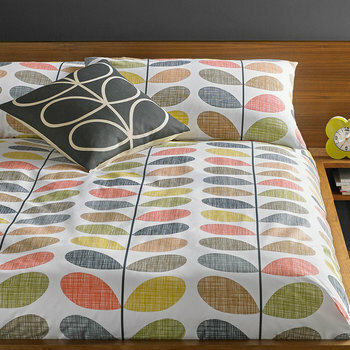 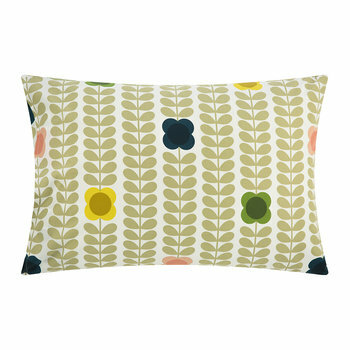 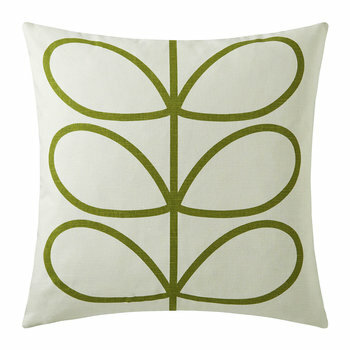 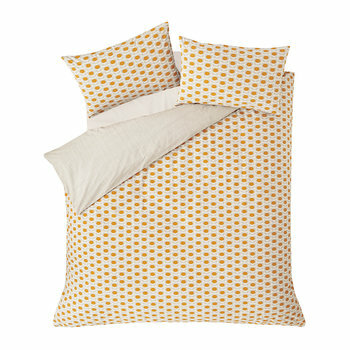 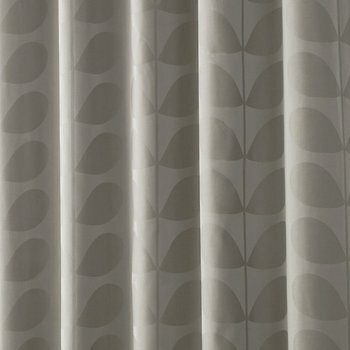 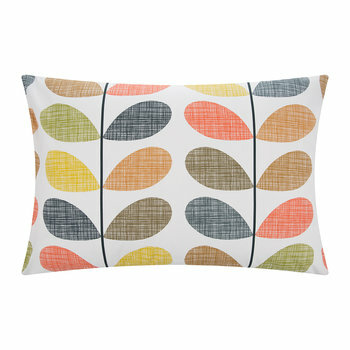 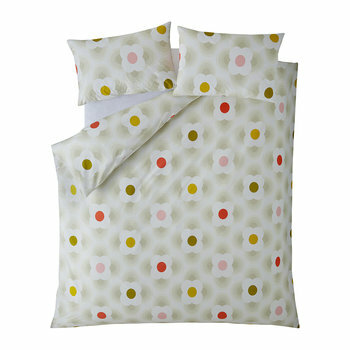 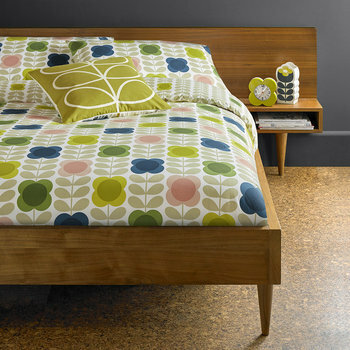 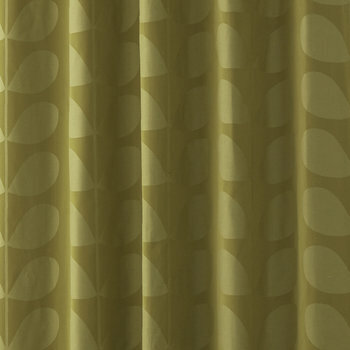 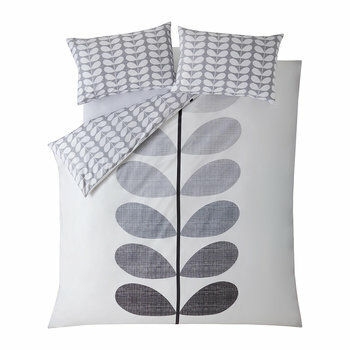 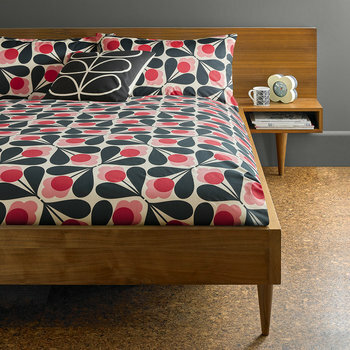 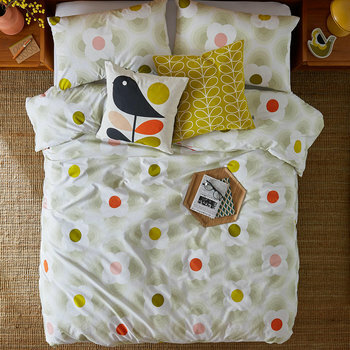 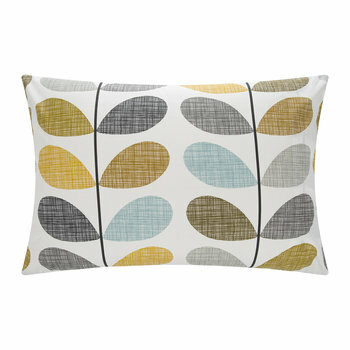 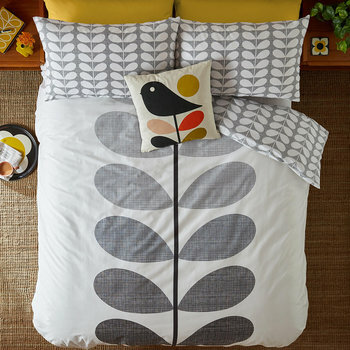 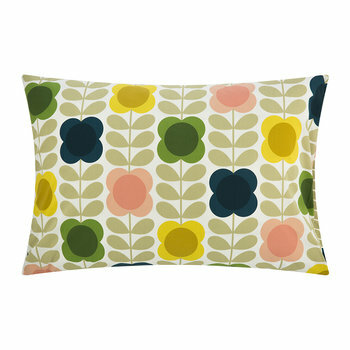 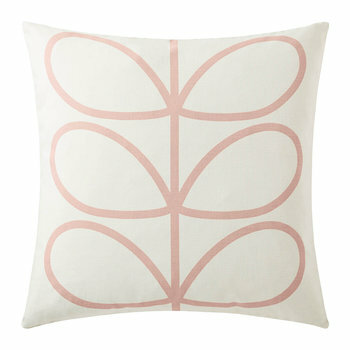 Orla Kiely bed linen is available in sets or as individual duvet covers and pillowcase pairs. 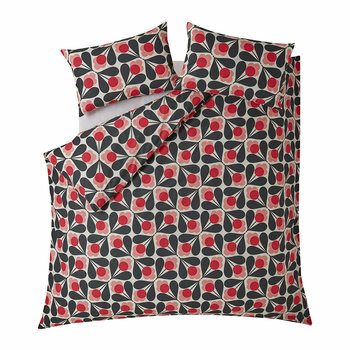 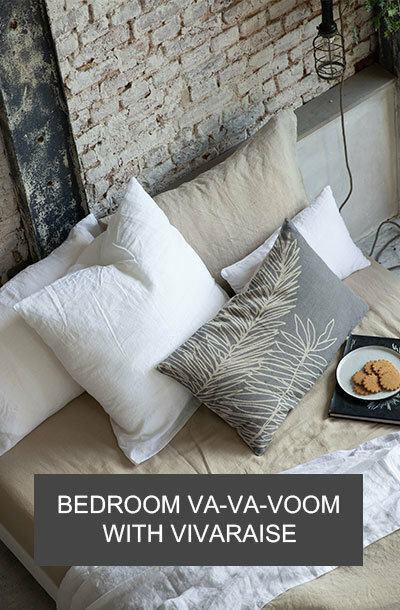 All made from luxurious 100% combed cotton, bed linen designs vary from bold signature patterns & subtler smaller prints, to more realistic floral interpretations in an array of bright colours. 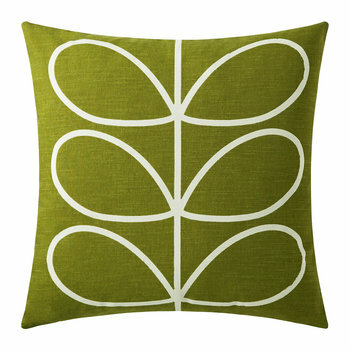 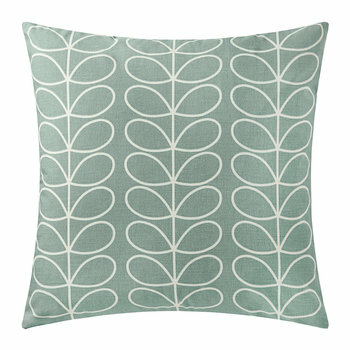 Complementing cushions are available in similarly bright hues, perfect for brightening up a bed or a sofa. 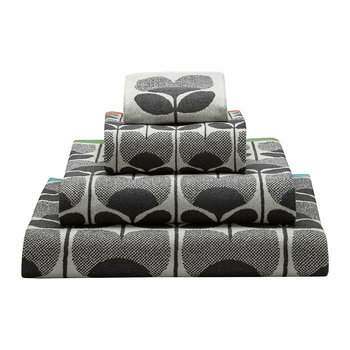 Try layering cushions with Orla Kiely throws, all made from decadently soft lambswool and featuring the brand’s iconic prints such as Giant or Linear Stem & Abacus Flower. 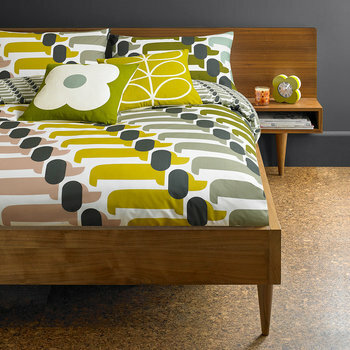 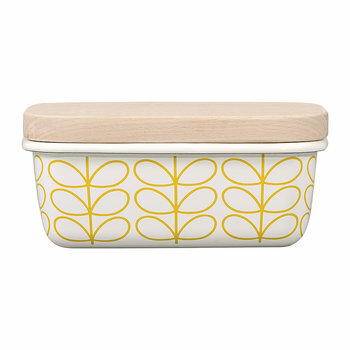 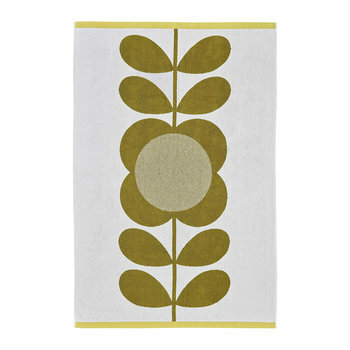 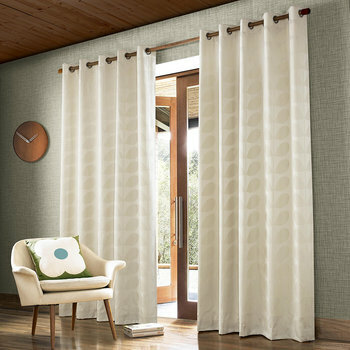 Every room can benefit from an Orla Kiely make-over and bathrooms are no different. 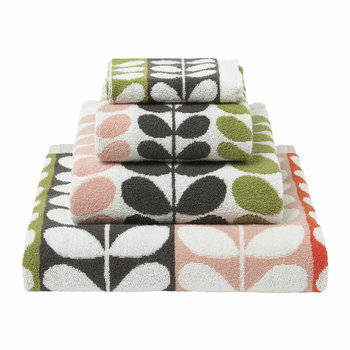 Curl up with a good book after a bubble bath in your favourite Orla Kiely printed bathrobe made from fluffy 450gsm cotton, whether subtly styled or beautifully bold there is a design for every taste. 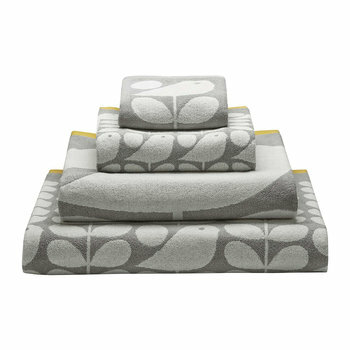 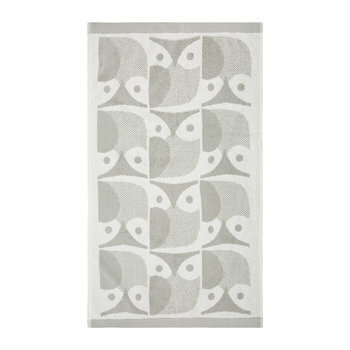 Perfectly coordinate your bathroom linen with complementing towels & bathmats in a selection of renowned prints. 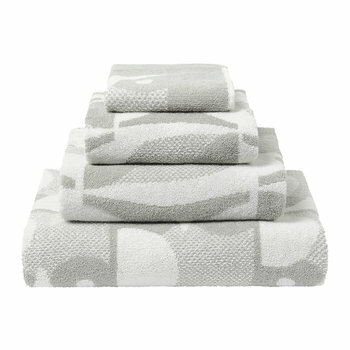 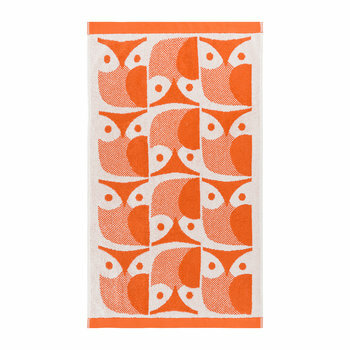 Each towel design is available as a face, hand & bath towel, along with a large bath sheet all made from 100% cotton with a luxuriously soft 580gsm. 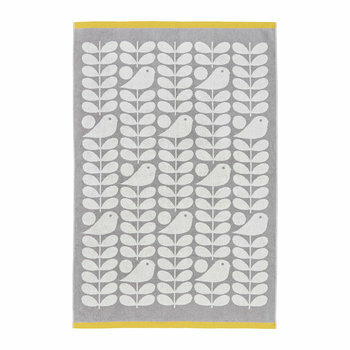 The range of block colour bathmats will beautifully complement any of the towelling sets and are an even more luxurious 1500gsm. 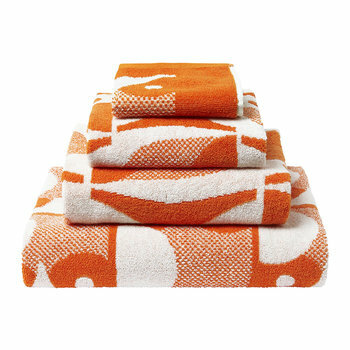 Take your favourite Orla Kiely print on holiday with a vibrant selection of super soft beach towels, ideal for displaying your chic style wherever you go. 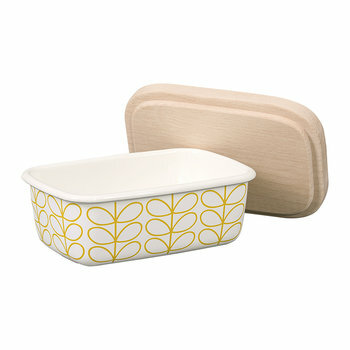 Adorn your dining settings with stunning Orla Kiely tableware. 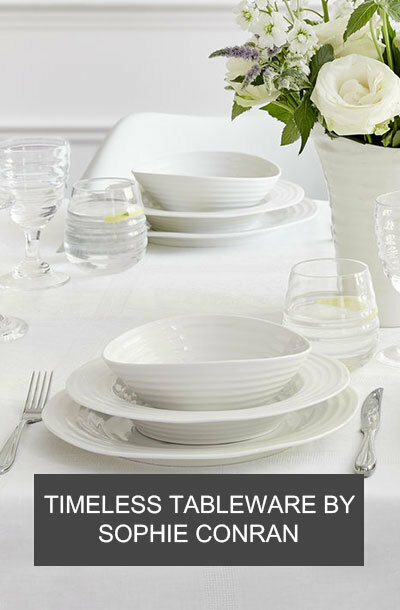 You will find a host of beautiful serving dishes designed to go straight from the oven to the table, along with salad bowls & cake stands to gorgeously display food, along with a selection of vases to create stunning table centrepieces. 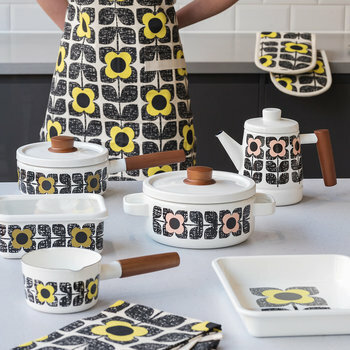 A wide range of melamine plates, bowls, pitchers & beakers are also available in renowned Orla Kiely prints which are not only ideal as unusual tableware but double up perfectly as stylish picnicware for alfresco dining. 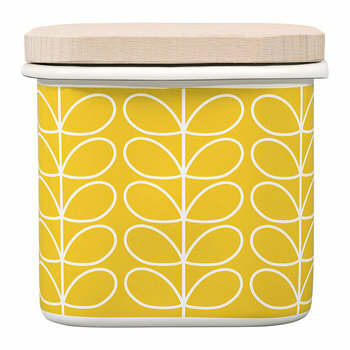 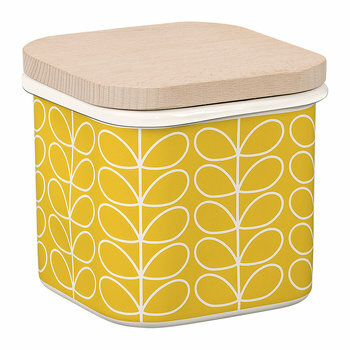 Nothing says timeless style quite like an Orla Kiely accessorised kitchen. 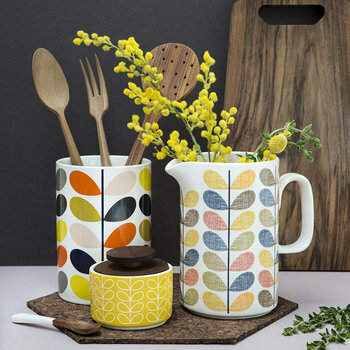 With both simplistic and vibrant designs for kitchen storage, utensil holders & bread bins these essential kitchen items can perfectly complement an existing theme or add bold new colours to refresh the room. 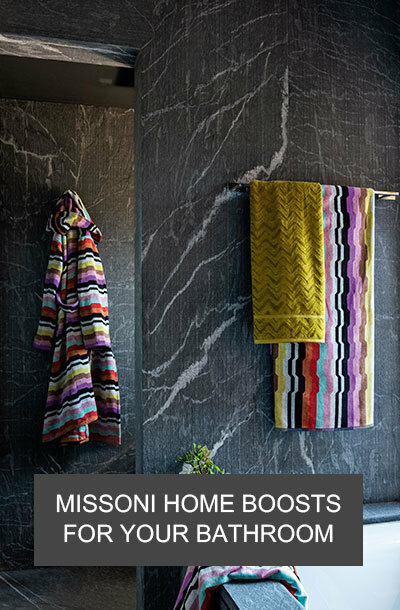 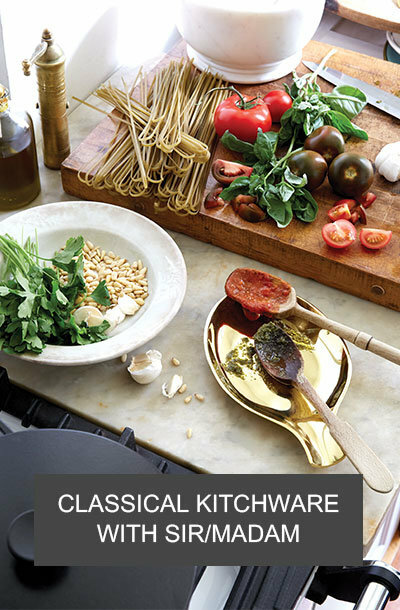 Complementing kitchen linen such as oven gloves, aprons & tea towels in patterns of varying boldness complete the chic kitchen look. 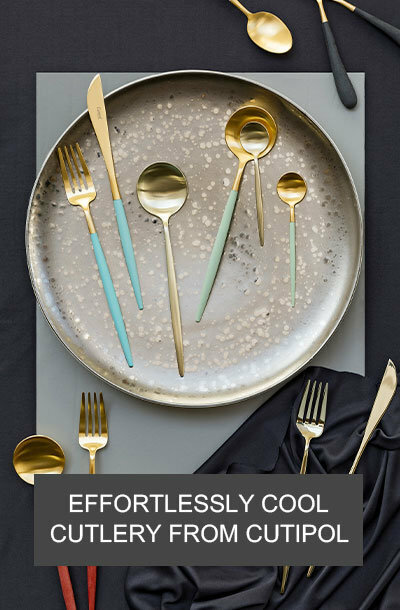 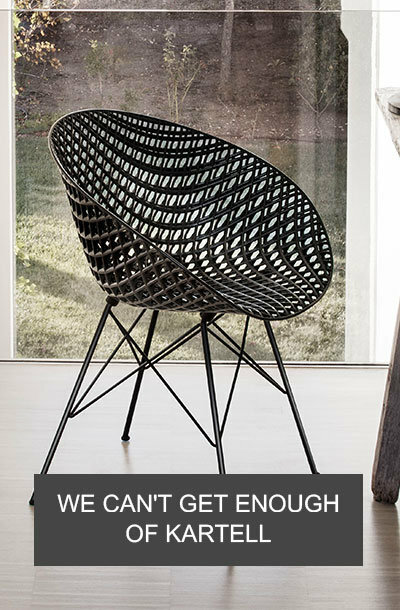 Also available is a delightful range of chrome & melamine chairs which are ideal for kitchen tables or even to brighten formal dining settings. 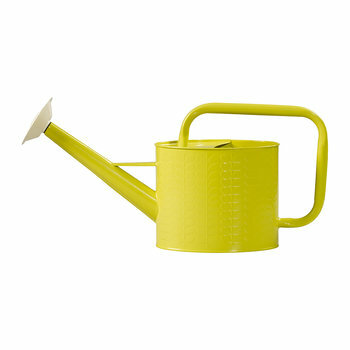 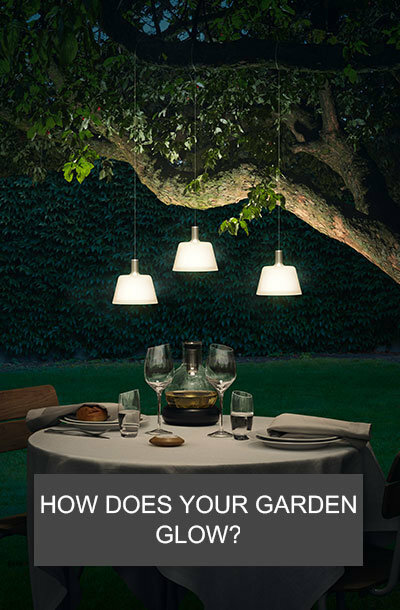 From retro seed pots and trowels to lively gloves & aprons you will find a fabulous array of gardening equipment to indulge your green thumb. 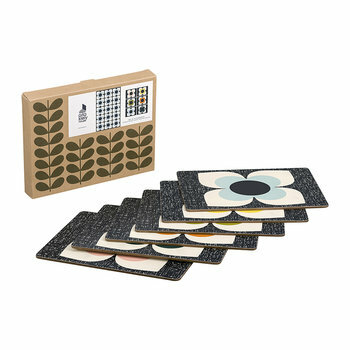 The perfect gifts for any gardening lovers, these accessories feature celebrated Orla Kiely prints such as Flower Stem & Striped Petal. 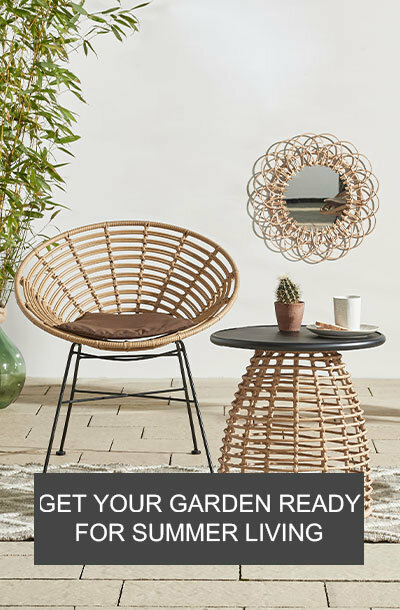 Indulge your senses with a variety of skincare items featuring the world renowned Multi Stem design and the intoxicating geranium scent, which will leave you spoilt for choice. 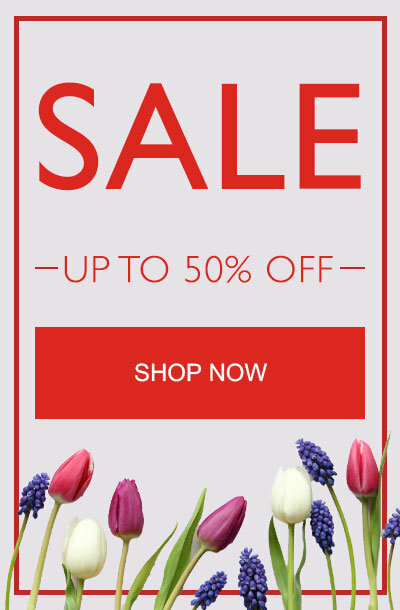 But fear not if you can’t decide on one item, gift sets are available containing moisture rich body & hand lotions, along with luxuriously lathering shower gels & hand washes in the floral fragrance. 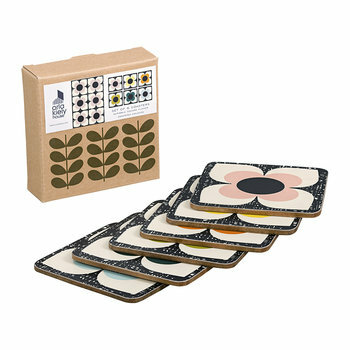 Fill you home with indulgent Orla Kiely home fragrances, which are available as both diffusers & scented candles depending on your preference. 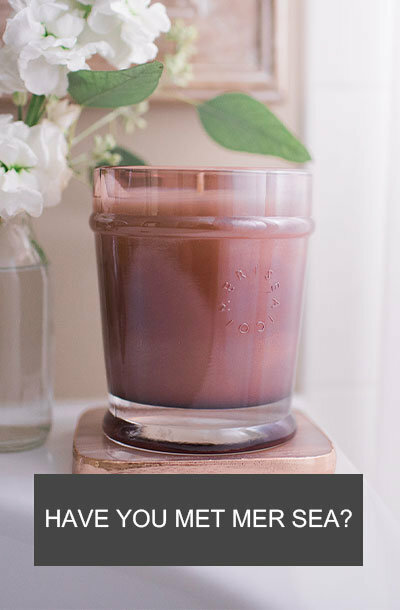 You will find a selection of aromas to suit any tastes, such as primrose & bergamot and sage & cassis, along with gift sets containing both a diffuser and a candle in the delectable scents geranium & myrrh and basil & mint. 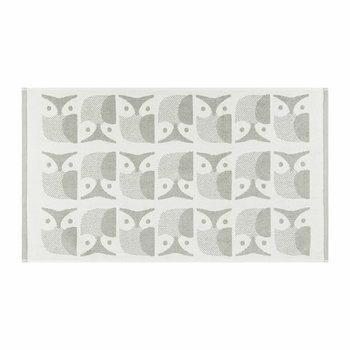 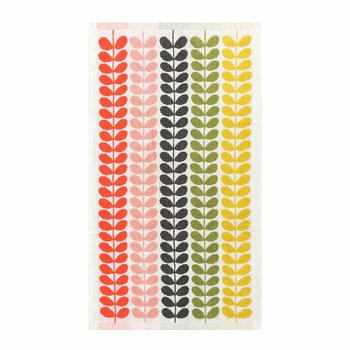 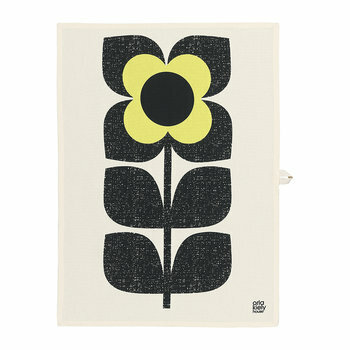 Orla Kiely stationery ranges are synonymous with chic 70s inspired design. 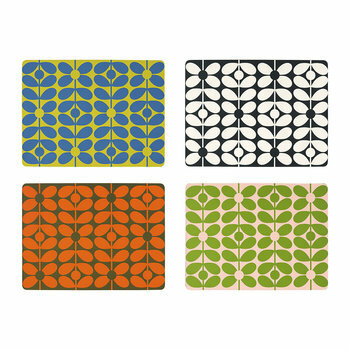 Beautifully crafted notebooks for all of your ideas, lists and thoughts are available in the famous prints, accompanied by iPad covers to protect the must-have gadget. 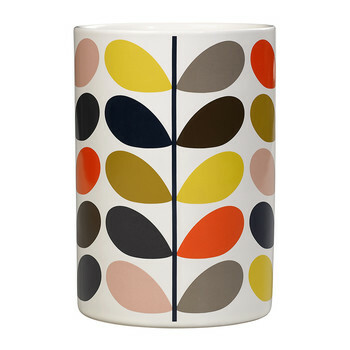 Also don’t forget to team your new stationery with an Orla Kiely flask to give your morning coffee a stylish flair. 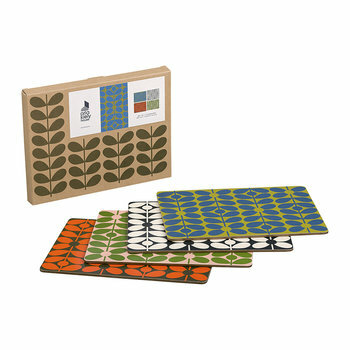 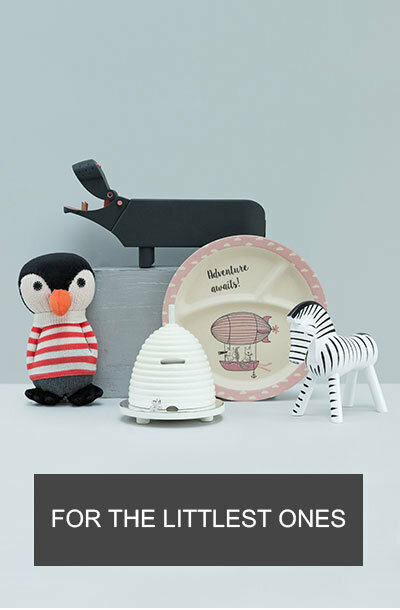 All Orla Kiely accessories are fabulous gift ideas for any occasion and can be used both on the go and at home. 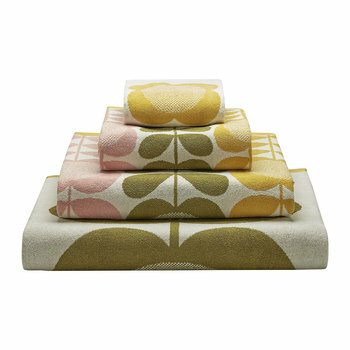 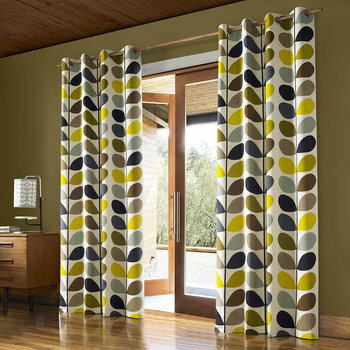 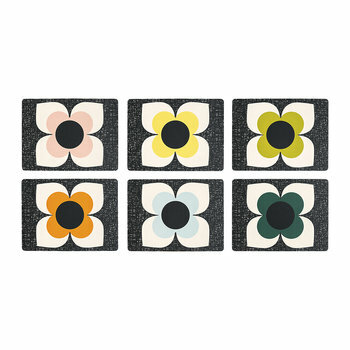 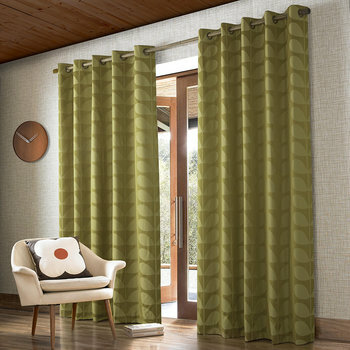 Wherever placed Orla Kiely prints are guaranteed to brighten the room and instantly become a statement feature. 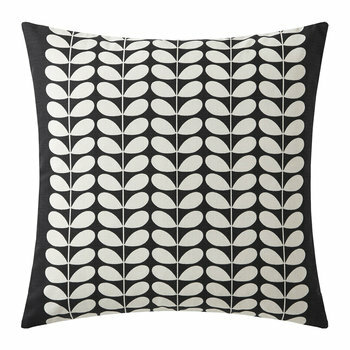 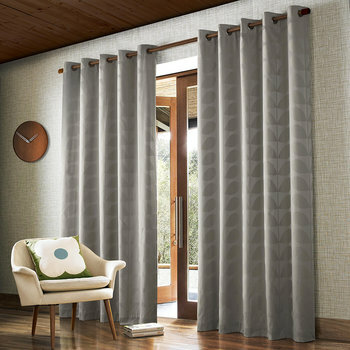 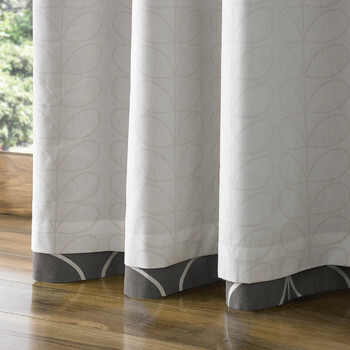 Not to be missed, the simplistic yet bold repeated patterns are eternally stylish and will be adorning homes for decades to come.